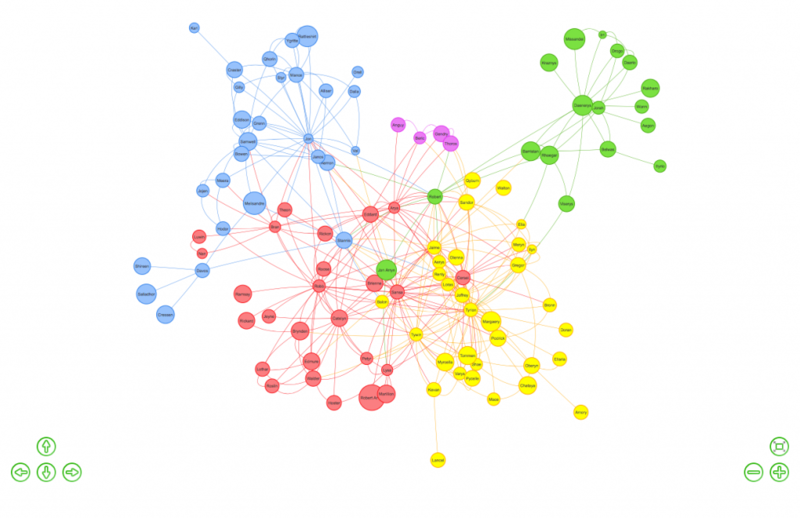 >> Why use R when you have Tableau? Tableau vs. R? Whereas, R has a very steep learning curve; any investment you make in R, however, will be returned to you with significant rewards. R is easily more than a programming language; it is almost a whole framework. There's no sugarcoating this: R is difficult to learn. When you just starting out, you will be confused with matrix and vector, the way R likes to store data. Hadley Wickham's many libraries, including dplyr and ggplot, and tidyverse make it easy to get started with R.
Here's how Tableau and R compare; notice the distance between them. 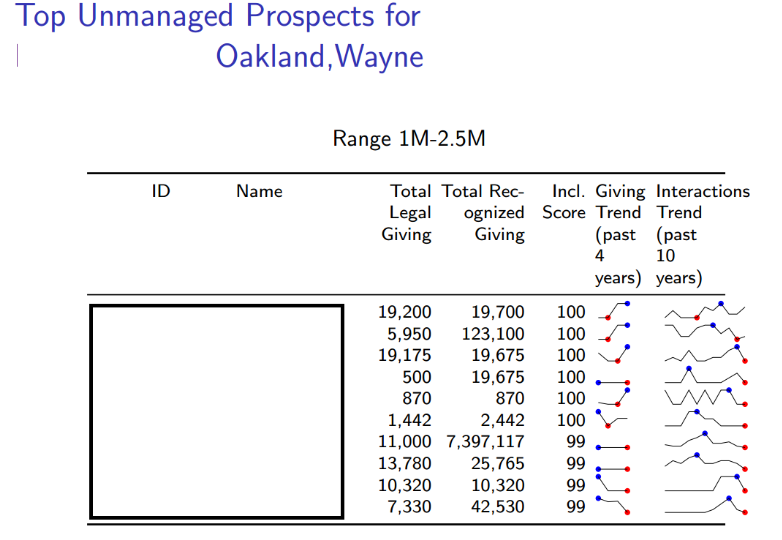 As as example of R's power, consider the following report I created in R.
It is reporting an inclination score (generated using R), showing sparklines (again R), getting data from SQL Server data warehouse, and then repeating the analysis for every region and every capacity range. More than 100s of nice looking pages within seconds. You can do everything in R in one script. Then you can come back to it after a few years, and still able to track your steps down. 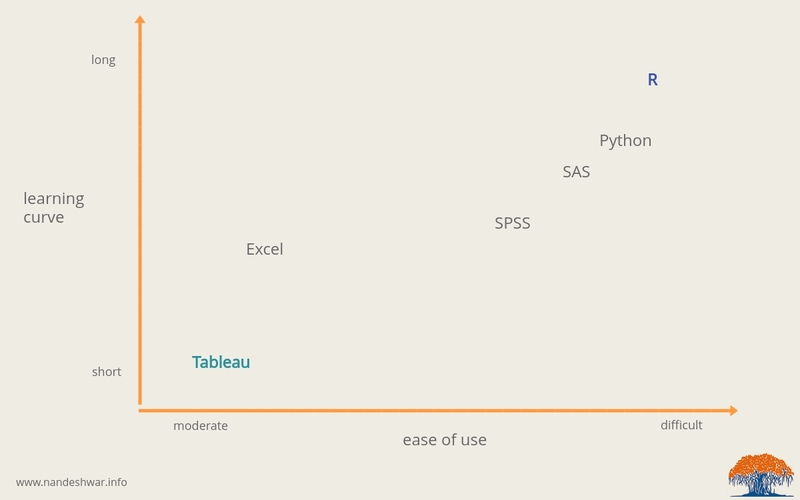 As I see it, it is really not Tableau vs. R issue. They can be used together. For all Tableau’s promises, I believe that only few people actually use it for exploration and it becomes another reporting a.k.a BI tool. I use Tableau for exploring, finding quick patterns and then coding that in R to reproduce the patterns for all various combinations. You can quickly build dashboards together without actually thinking about the process or about your objective of actionable insights. In addition, since it is easy to create charts, there is a real danger of quickly creating many useless charts. RStudio provides a nice interface and makes R very easy to use. RStudio supports Markdown which produces nice looking documents or HTML pages with the benefit of retaining all your code to reproduce all your numbers and graphs with newer data. One more advantage of Markdown: Markdown is very easy to learn. If you want to create more controlled, beautiful looking documents, however, you can take the complicated, frustrating, yet rewarding route, and rely on knitr, LaTex, Sweave, and RStudio. 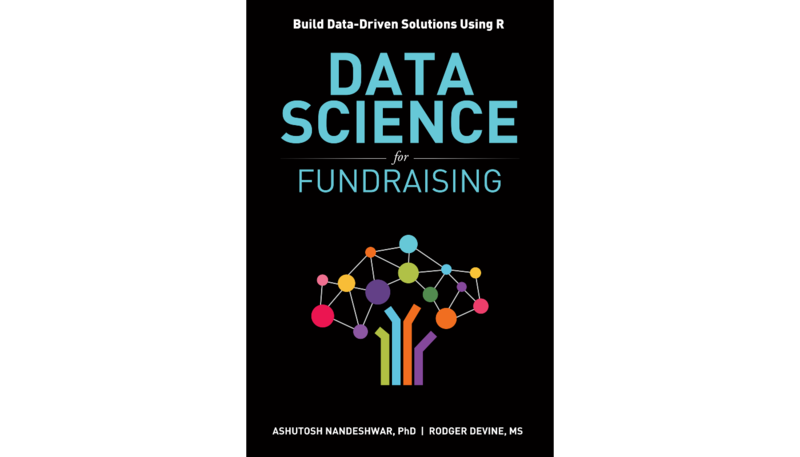 A great example of using rmarkdown is Rodger Devine and my book: Data Science for Fundraising: Build Data-Driven Solutions Using R. We wrote this complete book (graphs, code, text, index, citations, epub, and many more) in R using Yihui Xie's fantastic bookdown R package. If THAT doesn't convince you about the power of R, nothing else can. Using R, I was able to show the growth of Walmart in the US. Graphs, check. Animation, check. Tableau for versatility, enterprise scaling and support, ease and breadth of data connections, bigger user base and active community support, decent visualizations, ease of use for non analytics users, active work on evolving product roadmap R or even D3 is a bit special case tool for custom visualization and only specific applications. Consultant, Analytical Solutions at Marts & Lundy, Inc.
Tableau is easier for me to explore data, but as I become more frustrated with exporting Tableau charts that can be inserted into Word and PowerPoint without graph degradation, I need to switch to R.
Tableau is great for rapidly building visualizations, dashboard mockups and decision support tools. Even though there's a learning curve with both tools, R is open-source which makes packaging and distributing analyses possible with others who are willing to learn and don't readily have access to Tableau. I like Tableau for putting something simple together quickly. It is super easy to just drag and drop a few things and the end result is a production quality visualization. However, for addressing any amount of nuance or just for trying to do something a little more complex, I prefer R. I find it easier to discover code samples to do what I want to do. Also, once I have the code then I can reuse it for future projects which is a nice advantage. Tableau offers much better graphical aspect of data analytics. The visualization aspect of Tableau is much more intuitive and customizable as compared to similar functionalities in R.
The choice of the tool has major correlation with the organizational culture. 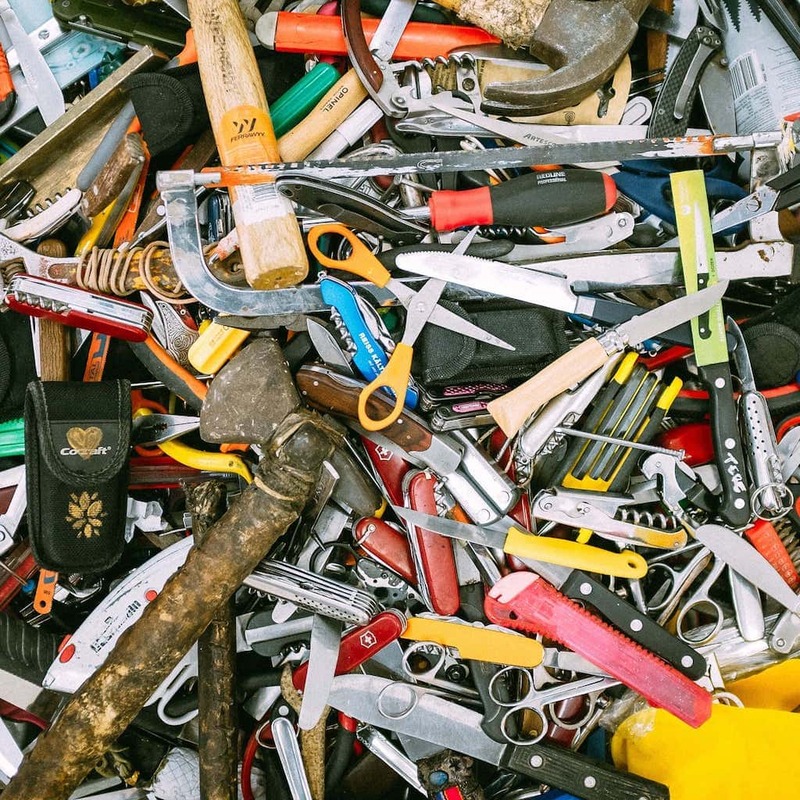 Few key factors that play a role in selection of data analytics/ reporting tool are availability of resources, data maturity, level of innovation, decision-making process (intuition-driven vs. data-driven, authoritative vs. collaborative), etc. In sum, R provides you with everything: data extraction, manipulation, analysis, visualization, and reporting. Don't let the learning curve scare you; you are missing out if you are not using it.